The Lotus Tree is on the D901 road between the towns of Bagnols-sur-Cèze and Barjac. 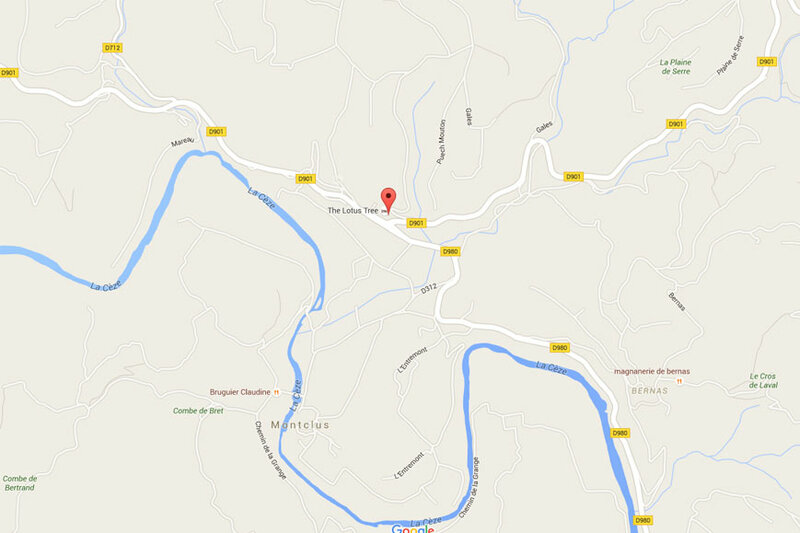 For your SatNav, our address is La Micocoule, 30630 Montclus, France. We can send you precise driving instructions just in case. 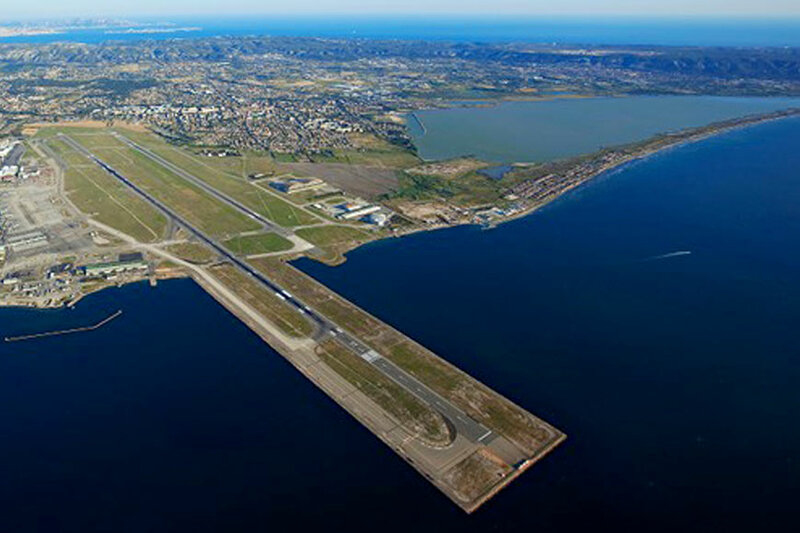 There are direct flights to four nearby airports, all an easy drive to us. Marseille: easyJet from Amsterdam, Bristol, Glasgow, Gatwick & Manchester. BA from Heathrow. Ryanair from Stansted, Edinburgh, Brussels, Eindhoven, Rome & Madrid. Aer Lingus from Dublin. XL from New York JFK. Nïmes: Ryanair from Luton, Liverpool & Brussels. Montpellier: Ryanair from Leeds, Brussels & Frankfurt Hahn. easyJet from Gatwick & Luton. Air France from Paris. Transavia from Rotterdam / The Hague. Avignon: from London City with Air France. Birmingham & Southampton with FlyBe. 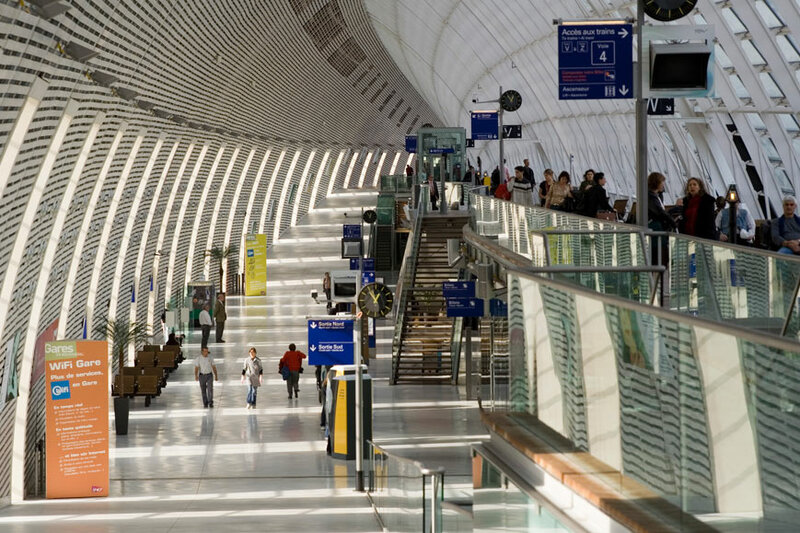 Hertz, Europcar and Avis have car rental offices at Avignon TGV station.